The medieval building now known as the Sally Lunn Eating House is on the site originally occupied by Bath Abbey and is one of the oldest houses in Bath dating back to the reconstruction of the Abbey after a great fire in 1137. Since the 1930s it has been a tea room specializing in Sally Lunn buns, a large teacake similar to brioche bread. 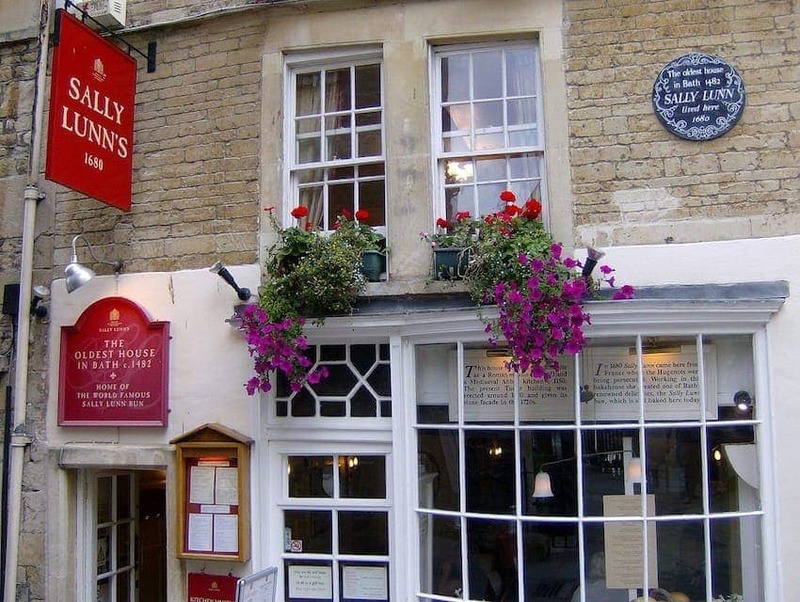 The story goes that Sally Lunn was a young French Huguenot refugee who brought the recipe to Bath around 1680. Sally Lunn's is now a famous authentic English eating house and as a bonus there is a kitchen museum in the basement you can visit.